This game takes place in the waterpark. Slide down and make sure you remain inside the track! 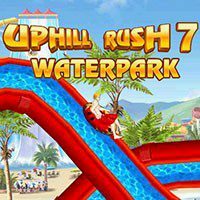 Get ready to slide down and collect bonuses on this water track. Make sure you press the right buttons and remain inside the track. Speed up and have fun with the game!